Availabe in various sizes to suite different machines. PVD Coated and uncoated saw blades available in M2 and M35 grade. 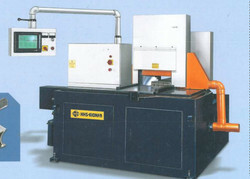 Servo Controlled Material Feeding: To ensure the cutting length tolerance to be within +/-O. i mm. Smooth Cutting Surface: After cut-off and before the saw blade returns. the finished work-piece moves forward and the raw material moves backward. Therefore. no knife scratch is left on the work-piece to ensure a smooth cutting surface. Touch Screen for easy operation and teaming. 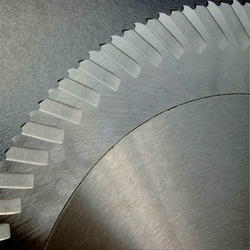 We are one of the noteworthy organizations engaged in introducing superior quality Segmental Saw Blades to our clients. These saw blades are equipped with several teeth offering the spindle speeds to 50 to 5,000 RPM that is equivalent to index increment. The longitudinal X-axis travel to quite distance making the saw blades highly production oriented. Our engineers have designed and developed the saw blades using avant-garde mechanism that strengthens the baldes for high production in the domain. Bestowed with an ingenious team of designers and advanced production unit, we have able to introduce an exclusive range of Tungsten Carbide Tipped Circular Saw Blades. These blades are loaded with cutting rig with upper ball-card asset mechanism. 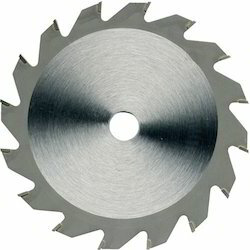 Having several and vigorous teeth helps the saw blades cut the all kinds of stones, metals, bars and parts efficiently. In addition, the offered saw blades deliver high work efficiency, safety and reliability. Besides, clients can avail the saw blades from us within stipulated time. Our organization takes pleasure to introduce its business as one of the leading firms offering Friction Saw Blades. 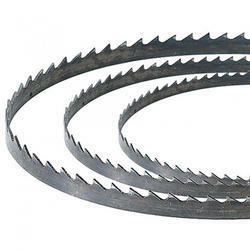 These saw blades have compensation of compact structure, small volume, lightweight volume, suitable disassembly system. The most suitable and adjustable cutting blades are manufactured using stainless steel alloy under the supervision of professionals who adhere to industry standards. We opt for strict quality checks before delivering saw blades to the clients. Clients can get the saw blades within stipulated period from us. 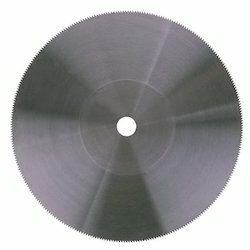 Looking for SS Saw Blades ?